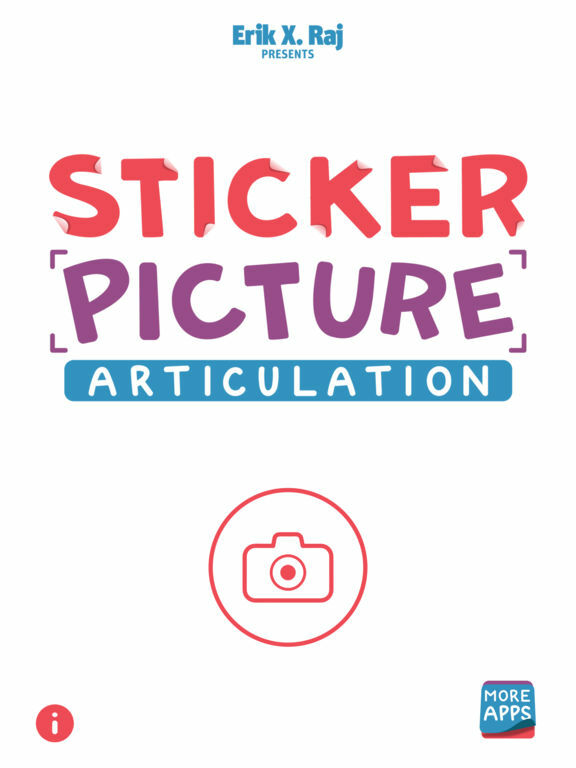 Sticker Picture Articulation is a photo-based application that enables user’s to create their very own articulation-specific pictures. It features a comprehensive collection of over 450 sound-specific stickers that can be placed on top of any photograph that is taken directly from the camera function of a user’s iOS device. 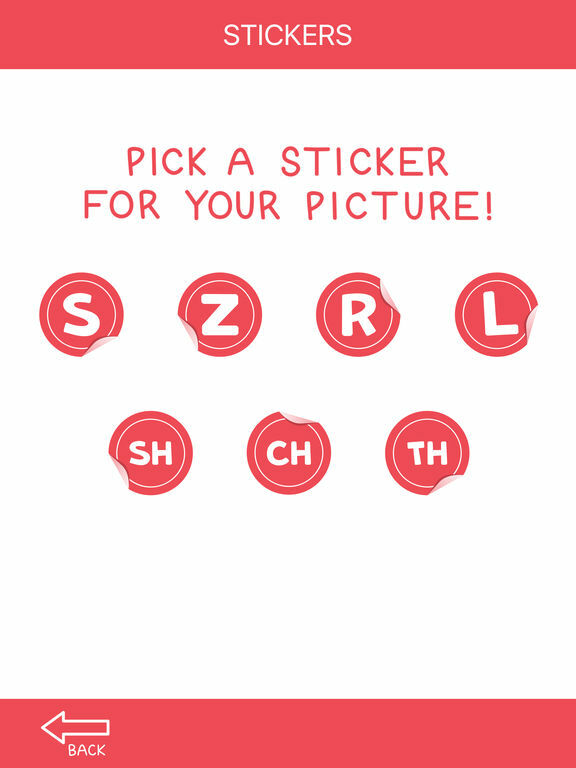 Designed for speech-language pathologists, Sticker Picture Articulation was made to be used with youngsters who exhibit difficulty producing the following speech sounds: S, Z, R, L, S/R/L Blends, SH, CH, and TH. It is intended to aid in the remediation of articulation impairments, as well as auditory and language difficulties because students often need practice in more than one area of communication. 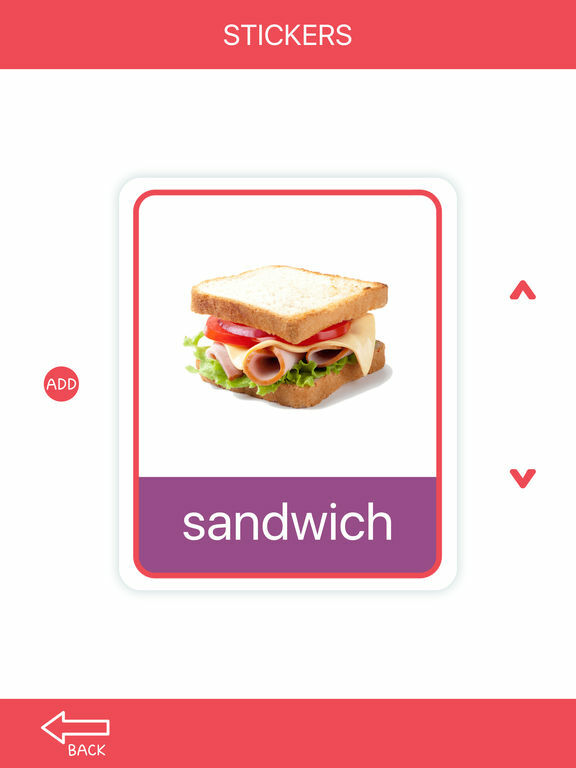 Tons of sound-specific stickers: with just a tap of a finger, children and clinicians can instantly add one of over 450 sound-specific stickers directly their photo! Loads of giggles: before, during, and after each sticker picture is creasted, oodles and oodles of laughter will fill the speech therapy room! There is something quite special about taking a photograph. Now, thanks to the latest advancements in technology, individuals are able to take stunning and memorable photographs in a matter of seconds. 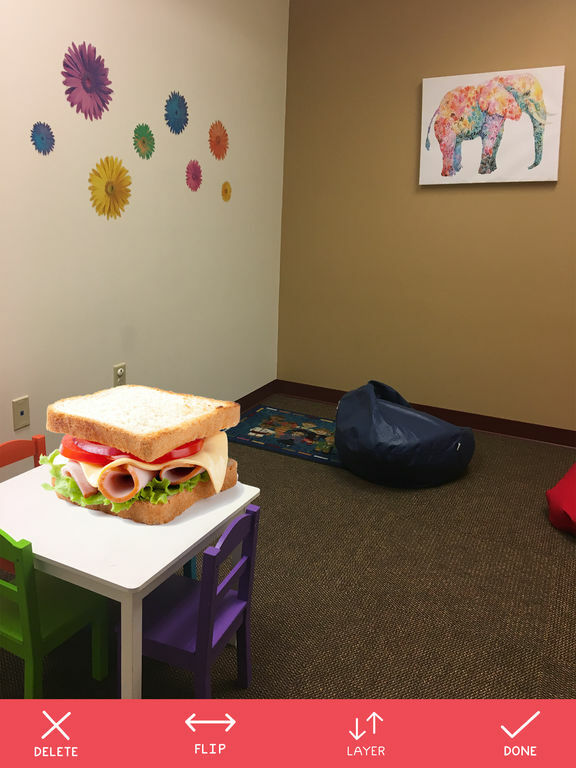 Photographs, and the act of snapping a photograph, can open up a world of conversation and delight, and this is exactly what Sticker Picture Articulation hopes to do within the speech therapy room. 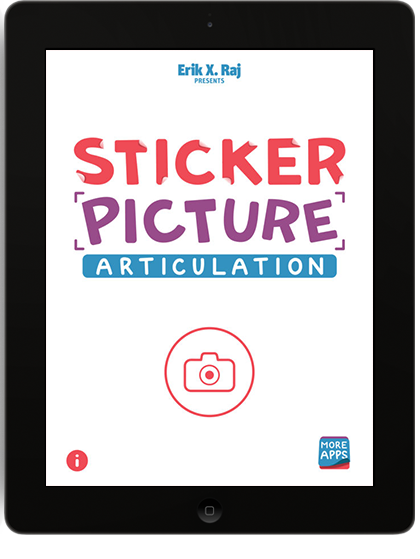 In short, Sticker Picture Articulation gives a youngster the opportunity to snap a photograph of his or her surroundings and, with a few taps; they can add a number of sound-specific stickers right on top of the photograph that was just taken! 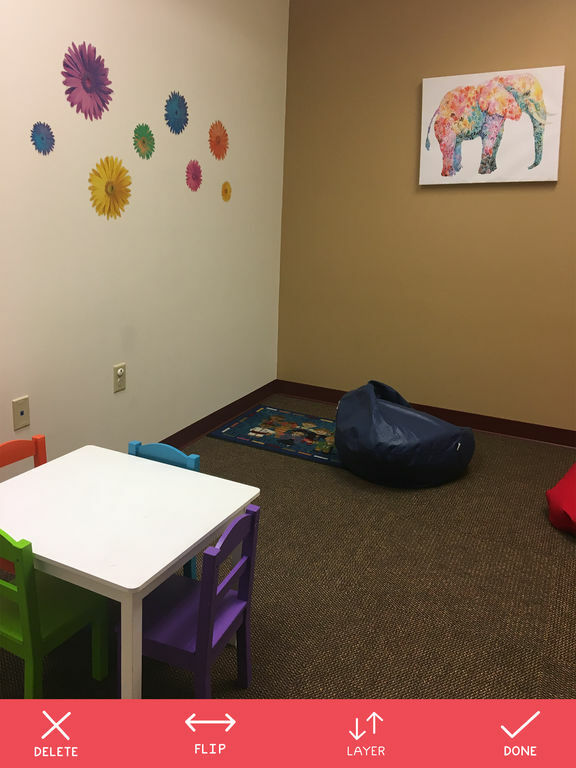 This was done all in an effort to encourage the user to talk about the newly created articulation-specific picture (thus, giving the youngster more opportunities to practice proper pronunciation and articulation strategies with caring communication partners). The format of Sticker Picture Articulation is a departure from traditional articulation drill materials and is effective for students ages 6 and up. Because of the individualized experience of taking a picture and decorating it with sound-specific stickers, students enjoy talking about the various articulation-specific pictures with their friends and classmates outside of the speech therapy room, further practicing their communication skills and thereby facilitating the sometimes difficult stage of carrying over newly-acquired skills. By talking about the articulation-specific pictures with the youngster, paraprofessionals in the classroom and/or parents at home can reinforce the targeted articulation skills while sharing a fun activity. Practicing these skills in environments outside the speech therapy setting increases opportunities for generalization. So what are you waiting for? Let your imagination run wild and have fun with this one of a kind digital speech therapy material!